I am getting many mails regarding the Ganoderma.Among them most of the queries are regarding the ingredients of this magic herb. Read it and have a nice time..
Ganoderma contains nutrients can help the human body to maintain its health, or improve its level of health if there are problems. Ganoderma is aimed to work on body but not on the disease. Promoting your natural immune system helps in balancing the body and in turn treats itself for a wide range of health problems. Ganoderma promotes general good health and vitality. It also has a harmonizing effect on the body and helps maintain body balance. Ganoderma maintains and improves general Well-being. Ganoderma lucidum is the scientific name for a species of red mushroom that once grew in the wild and is now being cultivated at special farms, in pristine growing conditions. Ganoderma contains more than 200 active elements that are known to improve health. * Contains an abundance of anti-oxidants that control or inhibit damaging free radicals. Free radicals are a major cause of cell degeneration, cancer and aging. * Is effective for relieving external problems such as scrapes, skin wounds, psoriasis, bug bites, stings, sunburn, mouth ulcers, and external bleeding. Research has demonstrated that Ganoderma Lucidum has several different active constituents. One group of active constituents is the polysaccharides. The various types of polysaccharides found in Ganoderma Lucidum have demonstrated immune-enhancing properties. This includes enhancement of several important interleukins. Another major class of compounds is the triterpenes. These compounds have been reported to have adaptogenic, anti-hypertensive, and anti-allergy effects. Ganoderma Lucidum has been shown in some studies to inhibit platelet aggregation and reduce blood pressure. In studies of people with hypertension, researchers found blood pressure was significantly reduced over two-weeks' time with reishi supplementation. Ganoderma Lucidum is commonly prescribed by practitioners for long-term immune system support. In studies involving patients with advanced tumors, the patients were given Ganoderma Lucidum for thirty days. Researchers found a marked immune-modulating effect as demonstrated by an increase in T lymphocytes and decreased CD8 counts. Patients also reported reduced side effects due to chemotherapy or radiation as well as postoperation recovery. Studies have shown Ganoderma Lucidum to have a blood sugar lowering effect. Much of this activity appears to be due to polysaccharides known as Ganoderans A, B, and C.
It appears there are three main mechanisms behind this hypoglycemic effect. This includes Ganoderma Lucidum's ability to elevate plasma insulin levels, to enhance peripheral tissue utilization of glucose, and to enhance liver metabolism of glucose. Studies have shown that hot-water extracts of Ganoderma Lucidum have anti-inflammatory effects. One study found that 50 milligrams of reishi powder had comparable effects to 5 milligrams of hydrocortisone. Ganoderma Lucidum is commonly used for its hepatoprotective (liver protective) action. One study of patients with hepatitis B and elevated liver enzymes (SGOT/SGPT) and bilirubin were given reishi for three months. Significant reduction in SGOT and SGPT were noticed within one month. After three months all values were within normal range. One of the unique uses of Ganoderma Lucidum is for altitude sickness. Reishi appears to reduce altitude sickness by oxygenating the blood. This benefit was studied in Asian mountain climbers that ascended mountains as high as 17,000 feet with minimal reaction. 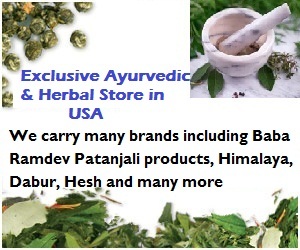 Research works are going on to get complete therapeutic uses of this herb. learn yoga from the masters..
My site is worthRs 114,299.9Your website value? AyurWorld....the real ayurveda...... Watermark theme. Powered by Blogger.